If you’ve ever used DxO PhotoLab before, then you’ve seen it. The first time you open a photo taken with a camera and lens combination that PhotoLab hasn’t seen before, it prompts you to download a “DxO Optics Module”. 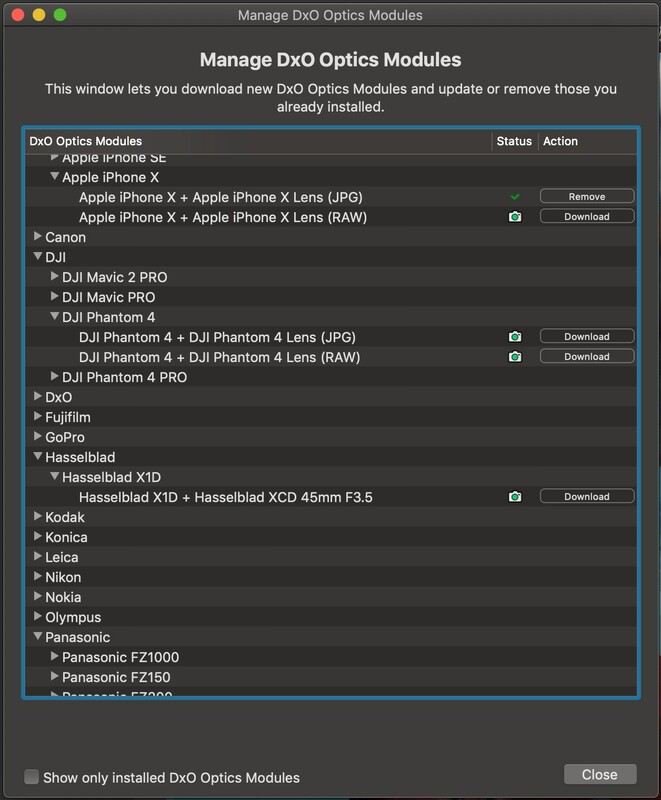 You’ve let it download, then moved on with your day and possibly never thought of it again… until you loaded yet another new combination and were asked yet again for a new download.So, what is this “DxO Optics Module”, and why should you care? In brief, it’s a set of calibration instructions that tells PhotoLab how to treat certain aspects of your photo — specifically distortion, vignetting, chromatic aberrations, lens softness, sharpening — based on a very meticulously crafted series of data points created through an extremely rigorous testing process. DxO creates these files for each and every camera and lens combination possible. Let that sink in… for every mid-range to professional camera + lens combination (and smartphones! ), there is a unique DxO Optics Module. That’s a lot of combos. The most popular cameras and lenses are prioritized, and certain cameras like those from Fuji which feature a totally different type of sensor aren’t included in the list. More information here. But the list is huge, and constantly growing, and DxO publishes a list of all supported cameras here. The process for making these modules is lengthy, complex and extremely precise. This article sets out to explain the entire process. Every camera and lens has two stages of testing; the measurement stage and the validation stage. These are just as they sound — during measurements, all the testing and coding is done to create the profile that should generate the optimal results. These are done in controlled, consistent laboratory environments. Then during validation, the cameras and lenses are put through real world tests, ensuring that the actual results on real world photos look their possible best — that green grass and blue skies and white fluffy clouds all look as natural and realistic as possible. The validation process can generate anywhere from around 300 to over 1,000 images depending on the hardware. For example, a camera body with a lower range of ISOs requires fewer tests than one with a broader range of ISOs, since test shots are created at every single ISO setting. 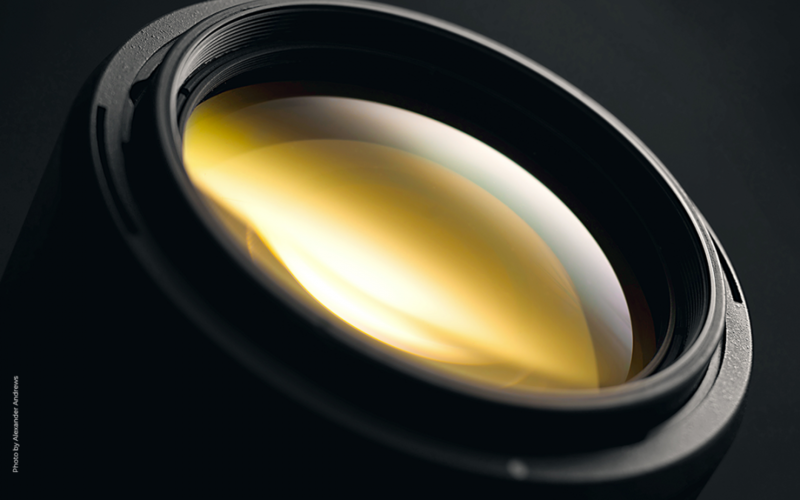 Likewise, a prime lens (non-zoom lens) only has to be tested at one focal length, while zoom lenses have anywhere from a few to many test positions. A very high-quality lens that differs very little in distortion from its widest zoom position to its longest zoom position requires only a few test focal lengths, while one that reveals a more dramatic difference in the pre-analysis stage will require many more tests. Let’s talk about camera body testing specifically. Modules are made for, and therefore test photos have to be made for, both RAW and JPEG files (you may have even noticed that separate DxO Optics Modules are downloaded for your RAW and JPEG images of the same camera and lens combinations). JPEG files can actually require more testing for several reasons. For one, many cameras offer aspect ratio selections, meaning the final JPEG could be 3:2, 4:3, 1:1, 16:9 or any other setting the manufacturer decides to add in. JPEGs are always produced at those aspect ratios, and therefore have to be tested at those ratios. However, with most cameras, when shooting RAW, even if you choose a crop like 16:9 in-camera, the actual RAW file produced is still the full native aspect ratio, with the crop info saved into the metadata and re-applied by your software. (Opening the crop tool on one of these files will reveal that the entire photo is actually there!). However, some cameras — notably Nikon — actually crop the RAW file, meaning tests are needed for the RAW files at each crop ratio, too. ISO and crop however aren’t the only variations that have to be tested for. Most cameras have settings to adjust the in-camera noise removal and in-camera sharpening. Again, these are applied typically only to the JPEG file, but those all need to be tested for. To complicate things further, while sharpening settings are typically included in the file’s metadata (supplied by the camera), so DxO can read that data and know what the setting was, de-noising settings are not included in metadata. So DxO must create test files to compare de-noising levels so they can analyze yourphoto and deduce what level fo de-noising was already applied, so its module can supply the right amount of software de-noising later. Wow! How long do these tests take? A midrange camera that may require around 1,000 test photos will require two to three weeks of testing. That’s a lot of human-hours put into each module! 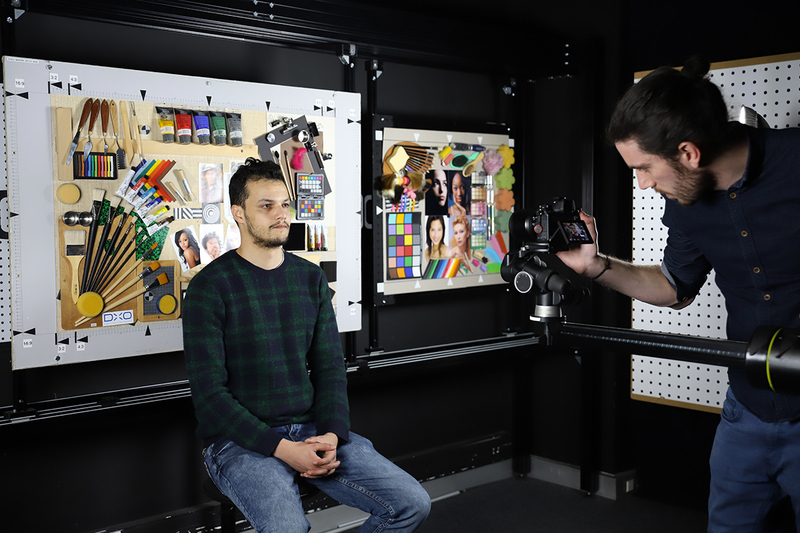 About 30 to 35 new cameras are tested and calibrated every year in the DxO Labs. Finally, when a new version of a camera is introduced, fortunately some of the old data can be reused. Existing data is used in a primary validation test, to see what passes and what doesn’t. Any aspects that pass validation mean the same data can be used from the previous model. Anything that doesn’t has to go back to the measurement stage and be tested all over again. Camera lenses are perhaps a bit simpler to test, as they have fewer options to change. As previously mentioned, the zoom positions required for testing are determined by a pre-analysis stage, and based on those results, the number of required actual tests are determined. (Pre-analysis isn’t done on prime lenses, since it takes just as long to do the full analysis of a single lens focal length). The other two adjustments every lens can make are aperture and focal distance. A lens behaves differently at f/2.8 then it does at f/22, as it does when focused at 12” or at infinity. Therefore, the camera lens is run through every aperture, and many focal distances, to test for vignetting, lens softness, distortion, chromatic aberration. A lens can’t be tested without a camera body, but fortunately each lens doesn’t have to be tested with each body. In fact, for each camera manufacturer, one camera body is selected as the baseline, or reference camera. This is typically one of the highest-end model cameras available, with the highest resolution sensor. That gives the most accurate information for the lens tests. Finally, once calibration data has been created for each camera body and lens, the data sets are grouped together. All the available data from a camera’s JPEG testing is grouped together, and all RAW data is put together in another data set. Then those sets are combined with each lens data, resulting in a RAW and JPEG Optics Module for every camera and lens combination! Those files, ranging from a few hundred kb to a few MB, make all the difference in making your photos look their absolute best!